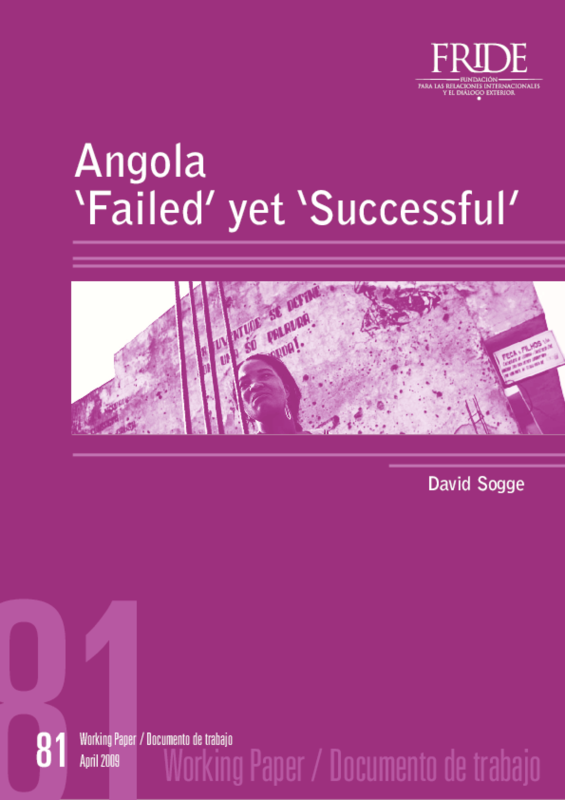 The analysis seeks to respond to key questions about Angola posed in the project's guiding purposes and methodology. These appear in three clusters: 1. What are the historical taproots of conflict in Angola, and of its weak uneven state and political institutions? 2. What formal and informal forces and incentives are at work in Angola's territorial political economy that affect state and political resilience or weakness? 3. What aspects of the integration of Angola's political economy into international systems may help explain the persistence of weak state and political institutions? Copyright 2009 Fundación para las Relaciones Internacionales y el Diálogo Exterior (FRIDE).